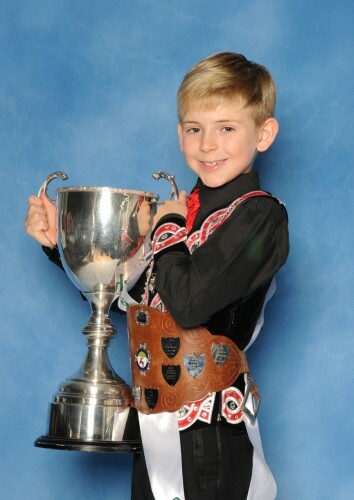 Kaylem Flynn of the Manning School was second in the U7 mixed championship and also won the top boys championship cup. Just a few days ago it was good to find myself at the 40th Wolverhampton Feis, an event which in recent years has found a home in Coventry. 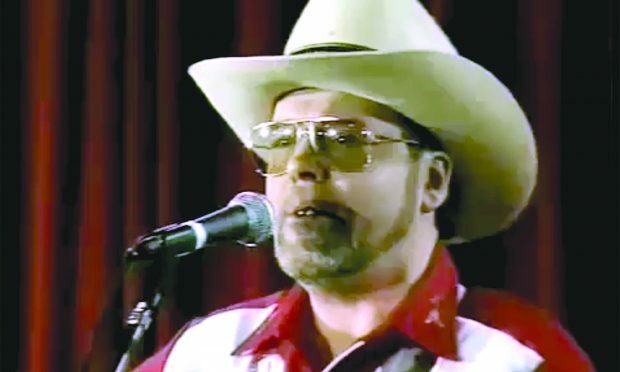 To old men like me 40 years ago is relatively recent. 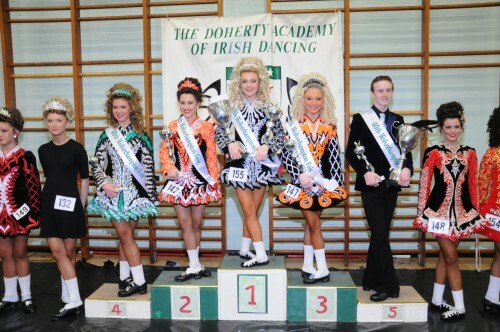 I wasn’t there at the first Danny Doherty feis in Wolverhampton in 1975 but I can still remember what it was like in those bygone days. My own dance photography experience dates back to those times and in so many ways things were very different then. Beth Monaghan of the Carey Academy won the U15 mixed championship. Glamour was not a word that appeared in the same sentence with Irish dancing, and make-up wasn’t regarded as a necessary embellishment to the youthful faces of our children. 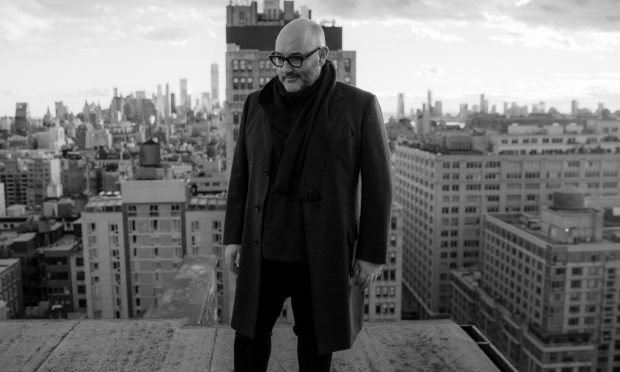 Changes to costume design and dancer steps were imperceptibly incremental and were very unlike today’s fast moving and ever-changing scene. Some changes are undoubtedly due to the Flatley phenomenon, post Riverdance and Lord of the Dance, but I feel sure that many others are part of the entrepreneurial bandwagon that has been assiduously guiding parental pockets to support their children’s hobby, be it the expensive wig, the hefty oireachtas entry fee, but above all the cost of a glitzy dance costume that weighs heavily in the very deep dressmakers’ pockets. Many dancers believe that the glitzy costume laden with bling is essential dress if one is to distract the adjudicator’s eye and favourably influence the subjective component of their professional judgement. And who cares about a price tag that equates to the annual upkeep of a boatload of hungry and inadequately clothed refugees, if it helps ‘Niamh’ or ‘Siobhan’ to persuade adjudicators that they deserve a place on the podium. Annie Beacom, Scanlon Academy, won the U14 mixed championship. Last year at the world championships in London, an American parent confided in me that his daughter’s dance costume cost more than the wedding dresses of his three wives combined. At the Wolverhampton Feis therefore, it was delightful to find a young dancer dressed in the distinctive handmade Doherty school costume that had been worn 40 years ago when the school was established (see photo) and it was interesting to see this piece of history juxtaposed on stage as young Millie, the wearer, competed with dancers wearing current styles. Niamh Power, Loughran School, won the U12 prelim championship. 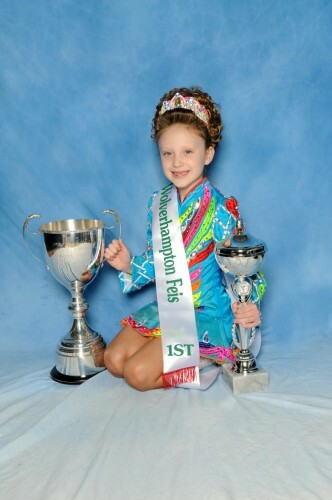 Once again the venue for the long-standing Wolverhampton Feis has been the Cardinal Wiseman School in Coventry. I guess this venue has become the centre of gravity for most Midland Region feiseanna. This is the fourth occasion that I have visited the ‘Wiseman’ for feiseanna this year. 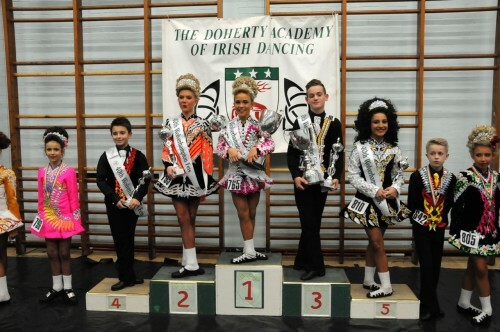 It is a venue that is well served by the nearby hotels around the Walsgrave Triangle, a necessity to accommodate the army of dancers and parents who are attracted to a popular feis. 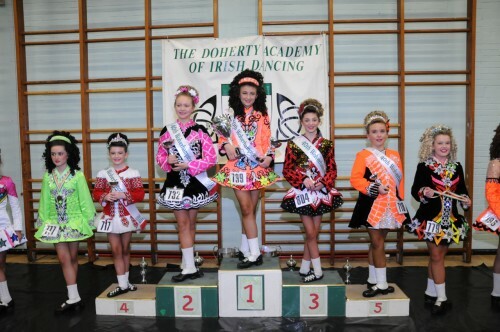 Alliyah O’Hare, Scanlon Academy, won the U12 mixed championship. Indeed the Midland Regional Council Oireachtas, a major world qualifying event, will take place in one of those very hotels. 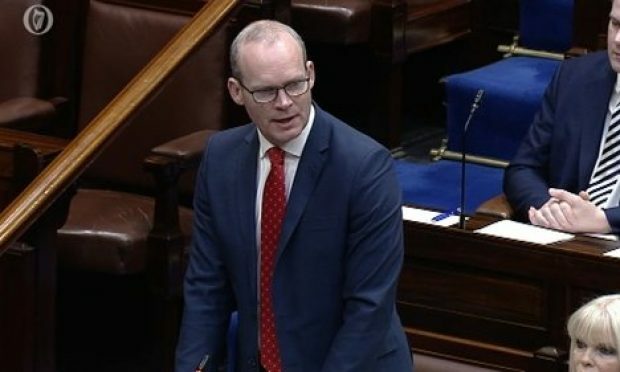 This surely will be a wonderful opportunity for the usual overnight coachload of German tourists to share the frenetic atmosphere of a hotel with several hundred Irish dancers and to witness real Irish dancing as opposed to the Riverdance and LOTD roadshows that they have become used to in Germany. And who knows, those Germans may even be persuaded uncharacteristically to leave a sufficiency of victuals at the restaurant breakfast serveries for dancers preparing for the day’s exertions. Tilly Brown, Trainor Academy, won the U7 mixed championship. Danny introduced me to two ‘feis helpers’ whom I’d never met before but who had played major unsung roles behind the scenes since the inception of the feis all those years ago. It was also good to see current and former members of the Doherty Academy, and teachers from other Midlands schools, pitching in to shoulder many of the tasks that are essential features of a successful feis. 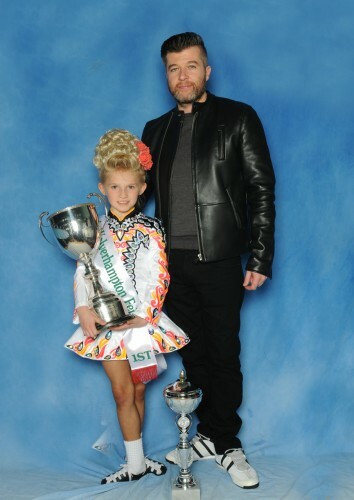 Rose McDowell the U8 champion with her teacher Mark Marshall. 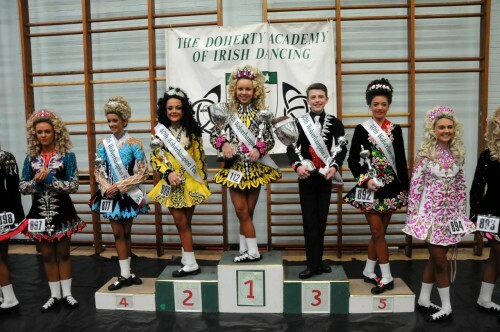 By any standards a feis that has been 40 years a growing is quite an achievement. This is a milestone that has not been reached by many and especially under an unbroken stewardship. 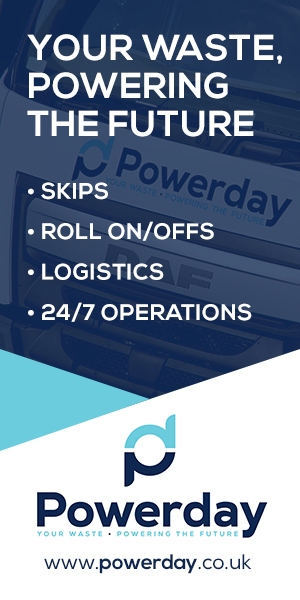 And I expect there is still much mileage under the bonnet of Danny Doherty’s stewardship.